There are many flowering perennials that I can think of that only flower once a year and many people think that the lovely blooms of penstemon count among them. But, did you know that if you prune the flowers just as they begin to fade that you can stimulate another flush of colorful blooms? I’ve grown penstemon for years and recently planted a Parry’s penstemon in my front yard. I enjoyed seeing its pink blossoms waving in the breeze and the hummingbirds who stopped by for a drink of nectar. The individual flowers began to fall, leaving only a few behind, which is the best time to prune the flowering stalks back. If you wait too long, the chances are that you will lose your window of stimulating your penstemon to produce more flowers. It’s best to do this when there are a couple of blossoms left on the plant. This is what my young penstemon looks like right now, but within a couple of weeks, new flowering spikes will begin growing. The reason that pruning off the first set of flowers stimulates a second bloom period is that the penstemon’s goal is to produce seeds. To do that, they produce flowers to attract pollinators and once pollinated, the flowers drop and the seed develops. However, when by pruning off the flowering spikes when there are a few flowers left, we disrupt the cycle and the plant will produce another set of flowers for the purpose of producing seeds. Doing so will promote a second bloom for several penstemon species including firecracker penstemon (Penstemon eatonii) and Parry’s penstemon (Penstemon parryi). Thanks for the hint on the Penstemon – I have never cut them back – this year will be different. 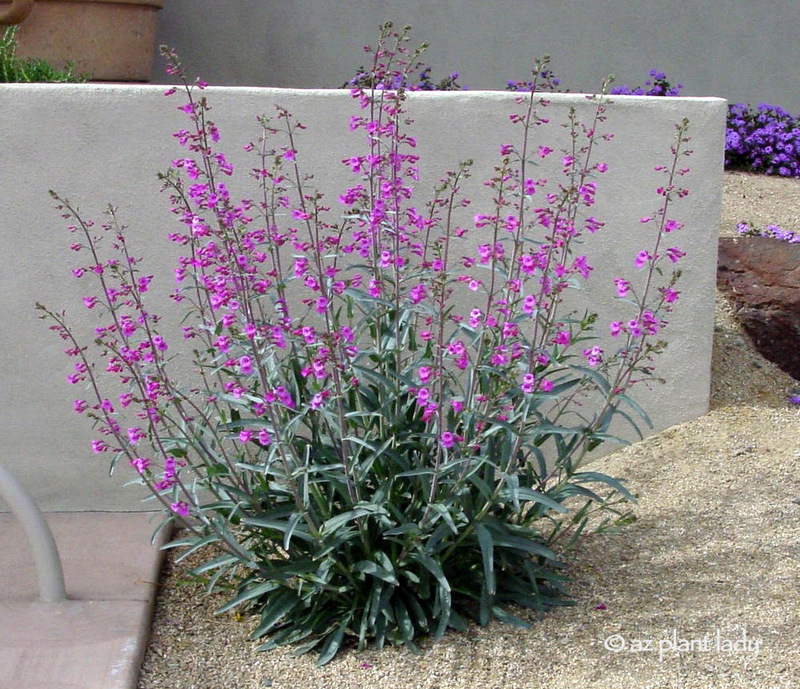 I shall try that with my Gulf coast penstemon-if I can bring myself to cut off flowers! Thanks for this! My firecracker penstemon flower almost all year round (and even now in December) but I’ve always wanted the pink ones (Parry’s) to last longer. Very helpful tip.